Credibility of the Hebrew Bible as a source for ancient Israel’s history has been disputed since at least the mid-1970s, when the historicity of the patriarchs of Genesis suffered a serious blow in the works of Thomas L. Thompson and John Van Seters.1 Biblical scholars of the last 35 years or so thus split into two camps of thought: historical minimalism and historical maximalism. The minimalists would argue that most of the Hebrew Bible has little value for the study of history because it is made up of prose fiction, folk tales, legends and theological treatises, while the maximalists would defend the Bible’s claims regarding the early history of ancient Israel.2 In “Whom Do You Believe—The Bible or Archaeology?” in the May/June 2017 issue of Biblical Archaeology Review, eminent archaeologist William G. Dever explores the difficult subject, giving BAR readers a sneak-peak of his upcoming book. This fragmented stela was excavated at Tel Dan in northern Galilee; it possibly dates to the ninth century B.C.E. Since its discovery in 1993/1994, the highlighted Aramaic letters (bytdwd) have been read as “the House of David” and regarded as confirmation that the Biblical David was a real historical figure. Much less optimistic scholars oppose the suggested interpretation and even question the stela’s authenticity. Photo: The Israel Museum, Jerusalem/Israel Antiquities Authority (photograph by Meidad Suchowolski). It is fair to acknowledge that Biblical archaeology had failed to deliver the evidence that the founding fathers of the discipline—William F. Albright and George E. Wright—thought it would in support of the Bible as history. But as much as Biblical archaeology fell short of the quest to “prove the Bible,” it helped to show just how misguided those initial expectations from Biblical archaeology were. As a result, many scholars have grown suspicious of the Biblical text, rejecting even the most central narratives of early Bible history, such as the Exodus, the military conquest of Canaan, the existence of the United Monarchy and, most recently, the very historicity of figures such as Saul, David or Solomon. Aided by new trends in literary studies and coinciding with a more general shift in the European historiography, the skeptical views of historical minimalism seem to dominate especially in Europe. The maximalist views, on the other hand, were able to stand their ground in Israel and the United States, where the public discourse is generally more optimistic about the Bible and the early history of ancient Israel as portrayed in the Hebrew Bible. The tangled tale of Biblical archaeology as practiced in the USA is best symbolized by two still fairly recent decisions by the American Schools of Oriental Research (ASOR), a leading academic institution devoted to the study of the Near East: ASOR changed the name of its popular journal from Biblical Archaeologist to Near Eastern Archaeology in 1998, and it also decided to separate its annual meetings from those of the Society for Biblical Literature. Called the Large Stone Structure, these massive walls excavated in the City of David belong to the original King David’s palace in Jerusalem, affirm many. What is the evidence for this claim? Circumstantial at best, caution others. Photo: Eilat Mazar. In the core of the minimalist–maximalist conundrum is a question of the Bible as history; in other words, the relevance of the Biblical record for historical reconstructions of the past, namely, of the early history of ancient Israel. The most obvious source of historical data besides the Bible is archaeology—Biblical archaeology, for that matter. So how can this historical discipline contribute to our understanding of Bible history? And how do we work with both Biblical and archaeological evidence to produce a “real” history of ancient Israel? This question remains a source of disagreement among Biblical scholars and historians of the ancient Near East. For more on minimalists and maximalists, check out the feature Scholar’s Study: The Great Minimalist Debate in Bible History Daily. William G. Dever has been the most vocal proponent of so-called historical maximalism in the study of ancient Israel. His attempt to liberate archaeology from its ancillary relationship with the Bible by replacing the term “Biblical archaeology” with “Syro-Palestinian archaeology” did not find fertile ground in popular discourse. Photo: Daily Bruin. One possibility is to deal with the Biblical texts and archaeological data independently and then look for “convergences,” suggests William G. Dever, Professor Emeritus of Near Eastern Archaeology and Anthropology at the University of Arizona, who is arguably the most influential voice among the maximalists. But it did not escape Dever’s critics that in checking the Bible against material evidence (or vice-versa), archaeology is not speaking for itself. For his approach, Dever has been castigated with others for actually falling into the trap of “proving/disproving the Bible”—an honorable pursuit for some, a methodological trespass for others. To be sure, Dever understands that both archaeology and the Bible as historical sources have their limits. An experienced archaeologist, Dever rightly points to the chronic cause of disappointment and frustration among Biblical scholars: people have been asking the wrong questions of archaeology! At the same time—as his critics object—Dever acknowledges the privileged position of archaeological data as being closer to the “real” life and, hence, more reliable for the Bible history than are the Biblical texts, which were written or edited centuries after the supposed events that they relate. And while recognizing that most of the Pentateuch, or Torah, is contaminated by legendary and even fantastic materials, which might disqualify the first four books from historical consideration, Dever with other maximalists also believes that these Bible books are a result of long oral traditions with a real historical core and that history can be distilled from the books immediately following them: Deuteronomy through 2 Kings. Dever’s critics, therefore, point out that his positivist method based on verifiable data is incoherent and circular and that his scholarship actually demonstrates the pitfalls of any attempt to use Biblical archaeology in the quest of uncovering the “true” Bible history. Some critical voices would also question whether Dever’s cautious judgments about the books of Genesis, Exodus, Leviticus and Numbers still qualify as maximalist. As should be apparent by now, the issues at hand are rather complex. And they are potentially explosive because they transcend the boundaries of academia and can touch on people’s core values and identities. For William G. Dever’s latest thoughts on this multi-layered and slippery subject, read his article “Whom Do You Believe—The Bible or Archaeology?” in the May/June 2017 issue of Biblical Archaeology Review, where Dever attempts to demonstrate how we can marry archaeology and the Bible in the study of ancient Israel. 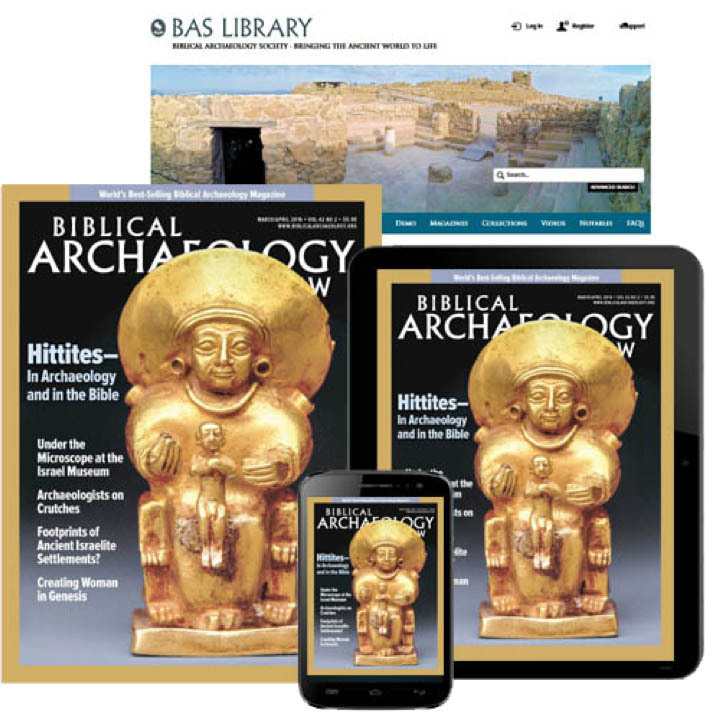 BAS Library Members: Read the full article “Whom Do You Believe—The Bible or Archaeology?” by William G. Dever in the May/June 2017 issue of Biblical Archaeology Review. 1. See Thompson’s The Historicity of the Patriarchal Narratives (Berlin: de Gruyter, 1974) and Van Seters’s Abraham in History and Tradition (New Haven: Yale Univ. Press, 1975). 2. For an open confrontation between scholars of the two camps, read Hershel Shanks, “Face to Face: Biblical Minimalists Meet Their Challengers,” BAR, July/August 1997. 3. Hector Avalos, The End of Biblical Studies (Amherst: Prometheus Books, 2007). What does Dever mean when he says the following? The choice is either the Bible or Archaeology? Really? May be for those that are not aware that the each complements the other. I see the Bible as a trusted and accurate record of history, not just of the ancestors of the Jews, but of the ancient world that it has recorded, and archaeology so far has backed it up! I don’t believe the scholars can be trusted to be able to discern this, as they still use the wrong dates because of their Speculative theories against what is before them, as they are bewildered as to why their ideas don’t fit with the actual chronology of the Bible. I will only work with them from Abraham’s time of the 4th and 3rd millennium BCE on, as they are challenged by their “own” false knowledge; that is why they work overtime to reinterpret, or ignore, the evidence of recorded histories of other nations that included the Israelites in their place in their times, excavation artifacts, and biofacts, to get them to somehow reflect their concepts of the dating they have made, ignoring what is in the Bible and the archaeological evidence. So, No! There is no choice, as both the archeological record and the Bible narratives compliment each other and show each other true! Just a few words from a layman trying to understand what exactly is discussed here. It seems that the situation is very tense and the discussion easily departs from purely scholarly exchange of arguments. First of all, I must confess that I have not read any of the books of the “minimalists”, but I have read a significant number of their articles and responses on these pages (Lemche, Thompson, Davies, Whitelam etc.). However, I have read Finkelstein’s books (quite thoroughly). To my understanding only Finkelstein is an archeologist among these persons. Obviously, if the “minimalists” are right, there is actually no point in continuing excavations in Israel. If the only incentive is to prove that the Hebrew Bible is only a storybook, what is the “cost/benefit ratio” in this kind of academic undertaking? 1. Genetic studies show clearly that there is a Jewish people, which can be tracked to a common background way before the diaspora. Moreover, the Jewish Cohen cast is significantly different from other Jews and its differentiation from others can be tracked to about 3000 years ago. Consequently, there has been a strict religious social structure in place for more than 3000 years. Hence, post-exilic “invention” of the religion appears a weak hypothesis. 2. It is self explanatory that the final composition of the Hebrew Bible was after the Babylonian exile, because some of the books describe that period. Most of the texts are indicated by the writer that they are written after (even much after) the original events. However, the pre-exilic text are written in different styles of Hebrew indicating development of the language throughout the process. Why was the Hebrew Bible written in Hebrew in the first place? Obviously there was a people and they had their own language. 3. Much has been written about Jericho and its destruction ca. 1450 BC. To me, the only thing that can be learned from it is that the Hebrews passed it after that year (probably on their way from Egypt). They saw the place in ruins, probably inhabited by some little community. While destroying them, why not claim that we ruined the whole thing. Maybe they even believed that they did it. 4. For some reason, Finkelstein uses the Hebrew Bible excessively to prove his point. Obviously he is convinced that there was a king Omri who was mighty and well organized on top of his huge building projects. So obviously, in his opinion anyway, there was a Bayit Humri. It is only David and Solomon (and Joshua) that do not fit his perception or is it? So what does archeology teach us? Which kings where real persons and leaders of their people and which where not – according to archeology? It all boils down to chronology. Whenever Mazar or Garfinkel date something by carbon-14 measurements, Finkelstein finds a problem with the calibration curves. In other words, the results do not fit my theory so they must be wrong. Would the results be criticized in the first place, if it was not about the biblical dispute. 5. Finkelstein has a problem with the gate of Megiddo (if it was Solomonic or not) among other things. I don’t think that original text says anything about it. Where’s the contradiction? So, is the argument between Finkelstein and Yadin or with the biblical text? I personally feel that the united kingdom (if there was one) split as a consequence of Salomon’s lush lifestyle and its cost on the taxpayers. His palace is probably buried somewhere below the Temple mount and can never be archeologically confirmed. Lack of evidence does not necessarily mean that it doesn’t exist. By the way, there is no actual reason that Jerusalem had to be a metropolis at that stage to be the seat of the government (see Haag vs Amsterdam, New York (or LA) vs. Washington DC, Istanbul vs. Ankara etc.). I generally have very little problems with the actual archeological findings. However, the stories build around the findings tend to be quite “liberal”. In the annals of human history, the growth of nations, the rise and fall of empires, appear as if dependent on the will and prowess of man; the shaping of events seems, to a great degree, to be determined by his power, ambition, or caprice. But in the word of God the curtain is drawn aside, and we behold, above, behind, and through all the play and counterplay of human interest and power and passions, the agencies of the All-merciful One, silently, patiently working out the counsels of His own will. In the history of nations the student of God’s word may behold the literal fulfillment of divine prophecy. Let’s face it. Archeology is proving the accuracy of The Bible all the time. If you appreciate reading about archaeologists who DO believe in the inerrancy of the Bible, the above site is the place to go!! Note that both Pilate and Caiaphas were removed from power shortly after Christ’s crucifixion in 36 CE; in the case of the former, he died that same year. This is a reminder of Colossians 1:16 that Christ is in control of ALL things on Earth — including those holding high offices. They are used for His purposes; when that purpose is completed, they are removed from power. Many “Biblical scholars” dismissed the Lucan narrative because of the mention of Lysanias, the tetrarch of Abilene, in Luke 3:1. They assumed it was this figure from circa 40-36 BCE (https://en.m.wikipedia.org/wiki/Lysanias). 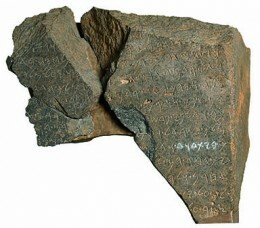 That was before the discovery of the Corpus Inscriptionum Graecarum (CIG) 4521; see http://www.formerthings.com/lysanias.htm. Again, the Word of God was vindicated. That there is archaeological evidence for all those figureheads above PROVES — beyond a shadow of a doubt — that the Bible certainly serves not only as a historical resource but also as the way to salvation. I believe that there is more to say. The Bible is not Gods word but was written by those that claimed to be inspired by God. God is Spirit according to the Bible and those who wrote them were inspired by that spirit. Only that spirit knows which tells the truth, the Bible or Archaeology. Man can only be inspired by that spirit and assume. That’s why its mostly referred to as Myths or something made to give life a meaning. There Is nothing more to say. The Bible is correct. People are always trying to disprove Gods Word. They should read it carefully and accept Christ as their savior. Then they will know Gods Word is real and true. I’m always struck by the fact that whatever archaeologists find has survived three milennia or more, and been found. Imagine what didn’t survive, or was altered to be unrecognizable, or hasn’t been found. So to say from the small amount we have, “This is all we will ever know, so we alone are right” is ridiculous. In addition, there are things in the Bible that we recognize now as being correct to the period (Abraham negotiating for Sarah’s grave, Joseph in Egypt) that would have been unintelligible to Persian or other editors, indicating that whoever wrote it down was passing on things they had heard, not making them up. Remember, this was divine to them, and there was surely punishment expected for messing with Divinity. I’m no believer in inerrancy, but I think there is a core truth in the historicity of the Bible. I attempted, a couple years ago, to read every commentary I could on the book of Daniel — in an effort to figure out how I was to “take” the Bible. And by “every” commentary, I mean whatever I could find from past centuries — on back to Theodoret of Cyrrhus (sp) in early 5th century A.D./C.E. Read monographs in obscure publications, rejoiced with the commentators who giggled with glee about the spelling of Nebuchadnezzar (or is it Nebuchadrezzar?) or the reality of Belshazzar (was he really Evil-Merodach??). I hardly hear those two questions discussed today, and yes we know there was a Belshazzar. Archaeology works slowly, can be interpreted (sometimes) in varying ways….and then maybe some are wrongly disappointed when that which is found does not look like a Cecil B. DeMille movie. Ultimately, you can take the biblical text as referring to ancient peoples and events. Whether you see it as “divine inspiration” and “inerrant” is another matter and partly a matter of faith. When we REQUIRE the Biblical record to speak in areas (archeology)it does not claim for itself, we err. 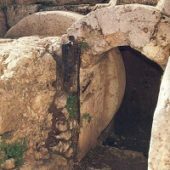 Where the Bible does speak (incidentally) about archeological concerns, I believe it is factual and verifiable — shown again and again, through archeology. Both David and Goliath were considered mythical, until a short time ago (archeology again substantiating a Biblical record. There’s a legal aphorism: “Lack of evidence is not the same thing as evidentiary lack.” The problem is that the science of archaeology moves at a snail’s pace, while expectations among many demand that the Bible be proved word for word, or at least be proved to be correct in its main historical points: the existence of a real King David, for example, the destruction of Jericho by Joshua, etc. As time goes on, more and more discoveries will be made. Only one percent of Israel has been excavated scientifically. And there may be other important discoveries made in southern Lebanon, western Jordan, southern Syria, where the Hebrew people lived for many centuries. The “lack of evidence” to which critics point to buttress their views does not mean that evidence does not exist somewhere. Most evidence of the ancient Hebrew presence in the Levant simply has not been found yet. Or if it has been found, it has been covered over by those whose belief system refuses to accept the reality and importance of Hebrew presence in the eastern Mediterranean for 4,000 years.